The ironic thing about the fight for liberty is that oftentimes the fight finds you at exactly the point you are trying to accomplish something. Sometimes it comes right when you're wanting to do something incredibly fun or life changing. I think it is for this very reason that it is so tempting at these times to just cave -- to just "give in" to the great heel of government pressing down upon you so that you can just do what you want, even though it requires "permission." These are the times which test your faith, your resolve, your intestinal fortitude. Today, I am discovering this truth all over again. About two months ago, while browsing the Auto Trader website, I found a pristine, black, one-owner, garage-kept, 1985 Pontiac Firebird. Those that know me casually may not think much of this, so I'll give a little back story on this unique vintage sports car. "A shadowy flight into the dangerous world of a man who does not exist......"
Back in the 80s, there was a super cool show on television called Knight Rider. It starred David Hasselhoff as an ex police detective, Michael Knight, who was given a second chance at life by an organization called F.L.A.G. (Foundation for Law and Government). Ironic, I know, but stay with me. Now, the other star of this show was K.I.T.T. 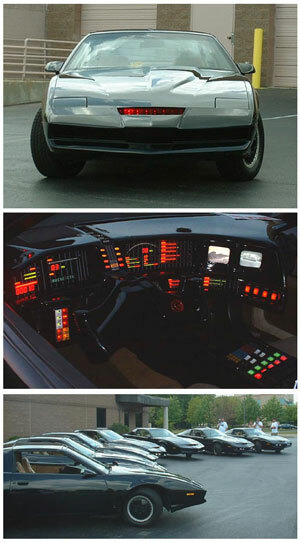 (Knight Industries Two Thousand), a super-futuristic, nearly-indestructible, talking car driven by Michael Knight to aid him in his "crusade to champion the cause of the innocent, the helpless, the powerless, in a world of criminals who operate above the law" (to quote the opening narration). This slick, super-modified, computerized car with a personality could turbo-boost over semi-trucks, read finger prints, "micro-jam" locks from a distance, and jet into 200+ MPH "super pursuit mode!" Whatever it took to catch the bad guys! Are you starting to connect the dots? This vehicle NBC used as "KITT" in this show that created so many of my childhood memories, was actually a black, modified 80's model Pontiac Trans Am! A car with basically the same body style as the car I spotted two months ago in the Auto Trader. Now, those die hard Knight Rider fans out there (you know who you are) will readily tell you that this car I spotted in the Auto Trader would make the perfect "donor car." So what's a donor car? Well, as it turns out, I'm not the only fan of the show who thought it would be cool to own my own KITT car. In fact, there are KITT replicas all over the country. There are Knight Rider conventions where these KITT owners gather. There are even companies out there who sell specially-made parts just for KITT conversions! Several years ago, I spotted a mint-condition Pontiac Trans Am for sale in a local parking lot and ever since I've regretted not pushing myself to buy it. So, this April, when I spotted this beautiful car at a reasonable price, I wasn't about to pass up this unique opportunity to live up a childhood dream. And so, with my loving and encouraging wife at my side, we did some strategic budget planning and proceeded to make payment arrangements with the vehicle owner. 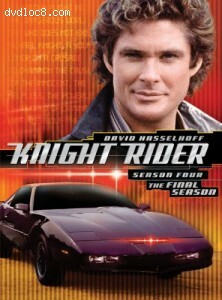 I was fairly content just owning the season DVDs of Knight Rider. Actually owning the car with the possibility of converting it into a replica? I never would have thought it was possible. This was truly a dream come true. Surprisingly, saving for the purchase of my "dream car" has been relatively easy. Working with the owner to work out payment arrangements has been relatively easy. I'll be making the final payment and picking up the car next week! So, what's left? Now we get to deal with the title change through the state, registration, insurance verification, temporary tags, making sure inspections are up to date -- you know, all the many things the government believes it must do to keep me and my property "safe." After all, without these elaborate protections, my very life may be in jeopardy, right? But of course. Last year I decided not to renew my drivers license. I did this because I believe this contract represents several encroachments upon my liberty. Firstly, I made this decision because the de facto state of North Carolina absolutely REFUSES and is UNABLE to prove its jurisdiction and lawful title over this soil. Quite frankly, I don't really care to obey a government which is unable to defend its own lawful existence. In addition, I am a firm believer that traveling from point A to point B is a right, not a privilege; and that harassing people for moving around on the face of the earth without the permission of some government official, though no actual crime has been committed, is a violation of this most fundamental principal. Today, I began the process of getting things in order to pick up the car next week. In addition to some other details, I needed to know what documents the DMV needed to register the vehicle, upon my purchasing it from a private seller. I was hoping that this knowledge could save me several back and forth trips to the DMV. After a good half hour conversation with the DMV staff person, I was informed that their website-promoted list of 10+ acceptable forms of ID was totally useless, and did not in fact represent what would be needed to register a vehicle. Instead, she says that they will require either a current valid NC Drivers License or an NC ID Card, neither of which I have, nor do I care to obtain. So here I am. Tired. Frustrated. Angry. The tangled web of enslavement that we live under in this country is astronomical. The licenses, the taxes, the permits, the registrations, the regulations. And it's as if nobody sees it. But you know why we don't see it? Because we are used to it. Americans are accustomed to asking for EVERYTHING. And only when we make the slightest attempt to buck the status quo -- when we actually TRY to "live free or die", only then do we realize how truly enslaved we are. Only then can we truly recognize what "sacrifice" really means. I am so excited about getting this car next week. I can't wait to sit behind the wheel. But, sadly, during this time of transition -- while I'm placing the required government shackles upon my wrists and the stocks around my ankles -- this once-in-a-lifetime moment is slightly soured by the heavy burden of decades of complacency. To many, this increasingly smaller fence is preferred. But not to me. I want liberty. I want freedom to contract with my neighbor; to buy and sell; to travel freely upon the roads and highways; to be responsible for my own actions. I want that old-school freedom. The kind of freedom the Wright Brothers enjoyed when they experimented on the first aircraft. The kind of freedom that owners of Henry Ford's first automobiles enjoyed while they travelled around without government restriction. I WILL sit behind the driver's seat of this car. I WANT to do it without first asking permission. The fight for freedom looks great to the American people until they suddenly realize that the true remedy may require more personal sacrifice than just a day at the voting booth. Sometimes, it requires that you actually fight whatever is in place which attempts to subjugate or restrict you in some way. This is what the founders believed, as they sacrificed their lives, their fortunes, and their sacred honor to ensure their posterity would enjoy freedom. As the old saying goes, "freedom isn't free." Sometimes, taking a stand requires that even the greatest times of possible enjoyment take a back seat to a lot of struggles, hardships, and trials. This is true patriotism.